Walking by faith can feel like fumbling about in a long, dark tunnel where our eyes strain to see any tiny pinprick of light to show the way. Or traversing a narrow, uneven, stony pathway with deep ditches on either side which we fear falling into. Any new route we undertake is made more hospitable and achievable in the company of one who knows the way. And our journey of life and faith is no different. The way ahead is lit by the light of God’s word. Much as a pilot can steer a boat safely and confidently into harbour when all the lights are lit, we have means to guide us through the path ahead of us. One of our ‘lights’ is God’s word. We can be further helped by these things:deep inner conviction from the Holy Spirit, wise and godly counsel from mature believers and confirmation through auspicious circumstances coming together at the same time. This is no hard and fast rule, more a guide when things seem particularly grey and murky and the way ahead unclear. Much rests on what God is saying to us personally, how we sense He is leading and guiding. 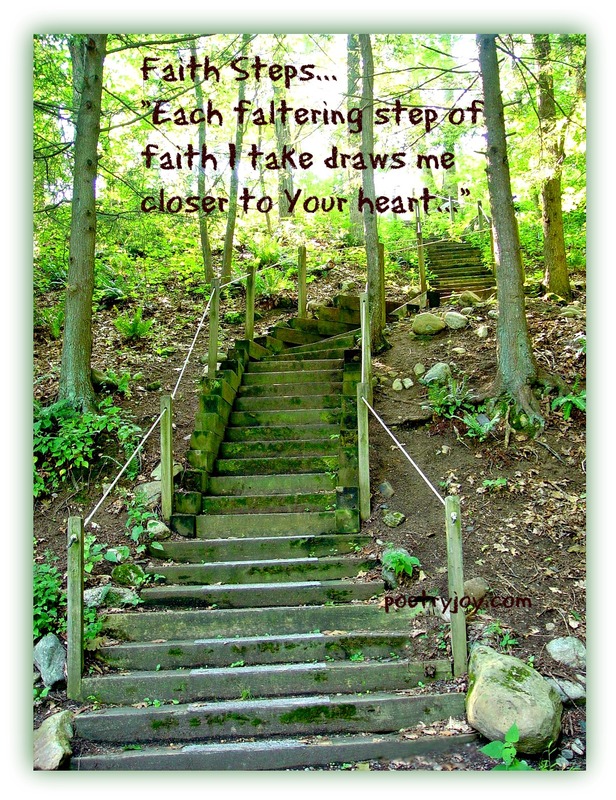 Stepping out in faith means we don’t necessarily have the full picture before we take a first step. Such is the adventure of walking with God. How do you perceive guidance? 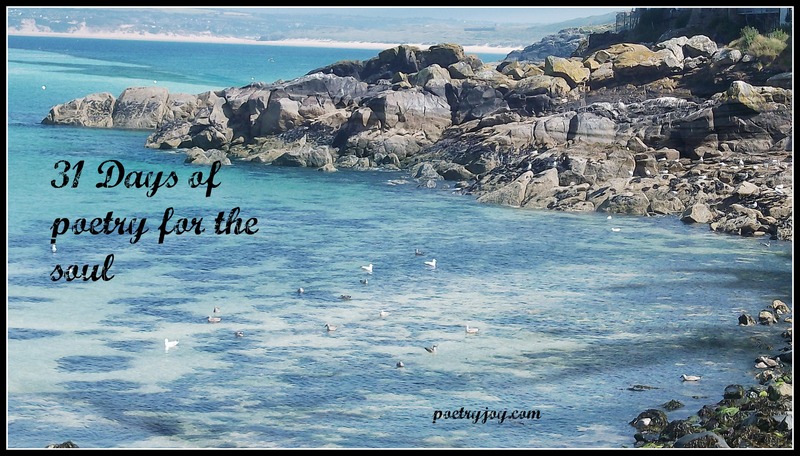 Are there signposts you look for to confirm a call from God? **NOTE** I am excited and delighted to announce that this poem is also profiled on my friend and fellow writer/poet, Joy deKok’s site. Do hop over and check out the other great posts there! Day 10 of the 31 Day writing challenge #poetryforthesoul. Thank you for so much for reading and encouraging me and giving me grace when I miss a day. Joy, your words always bless me. And the photo is a perfect fit. Blessings! Oh, we might at times feel as if we are totally enveloped by darkness and uncertainty, but not even these things can rob us of our joy and peace as we steadfastly keep our eyes fixed on our Beloved Lord. Great post Joy! Trusting Him through all circumstances! Have a blessed day!!! I love that Faith is always attached to a verb! Yes, that means it’s alive and active! We exercise faith and, like a muscle, it can grow weak or flabby through lack of movement. I love “that Faith is always attached to a verb” too. It’s part of the co-labouring role which God grants us so that we can paticipate in seeing His will and purposes come to pass as we join in by faith and prayer. Your description of the journey by faith is right on target, Joy. God doesn’t usually show us the whole path and plan, knowing it would scare us out of taking even the first step, if we knew all that was in store. He just gives us enough light to take the next step, and says, “There it is, your next step. Will you take it?” I like the ending phrase of your poem: “And so I choose to raise my head and see the way I’m going not with anxiety, fear or dread but trust in Your all-knowing.” I have made my decision, Lord. Yes, I will take that next step. I believe that you can see what I cannot, can do what I can’t even imagine as a possibility, and that I can trust you with my future, because you’re already there. He IS “…the high and lofty One that inhabiteth eternity, whose name is Holy,” (Is. 57:15,) and I am making the conscious choice to trust you. With God, there is no time, and for us, in heaven, there will be no time. God has given us time here so that we are aware of the passage of our lives, and make good use of opportunity. But God does not obligate Himself to meet our timetable for things to happen. With Him, a promise to provide a childless couple of senior citizens a son, fulfilled 25 years later, is a promise kept! As my pastor likes to say, God’s working in our lives isn’t like microwave cooking, but more like a crockpot cooker, a slow simmer to perfection. He may seem slow, but He’s never late!